As you may know, the US military uses several RAF bases in the UK. The sites remain the property of the British government, which means DIO is responsible for infrastructure, maintenance and facilities management just as we would be on any other UK military base. I’m Don Lloyd and I’m a DIO Project Manager. I’ve just completed work on a new medical and dental centre for RAF Croughton in Northamptonshire. The new clinic will deliver healthcare for US military personnel and their families in a modern, family-centred environment. 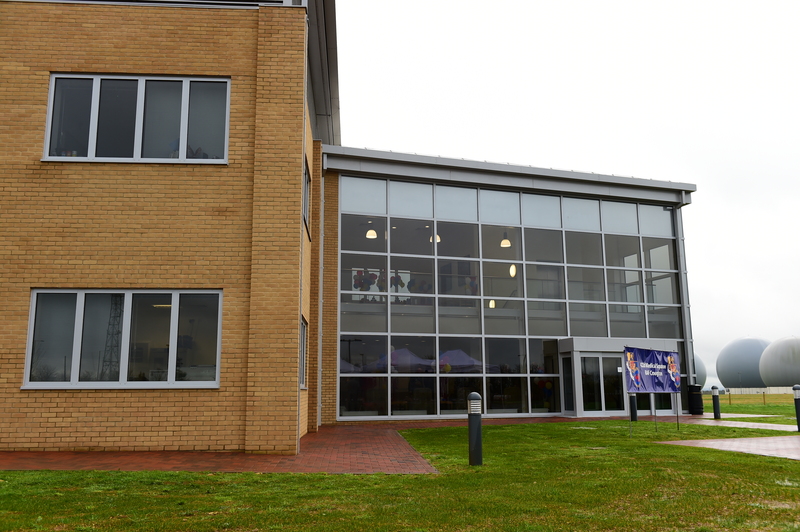 The building will function primarily as a GP’s surgery and dentist, but also has a number of other facilities such as a pharmacy and laboratory. The two-storey centre covers 2170m² and includes staff and administrative area, pharmacy and dispensing rooms, patient examination areas, clinic support rooms, offices for senior medical staff, a medical operations reception area, dental treatment rooms and the laboratory. My work on this project started with an assessment study and development of the project brief, and continued right through to its final delivery. 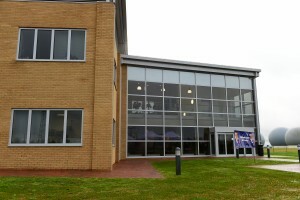 Following a competitive tender process, VINCI Construction Ltd UK was awarded a contract worth £7.1m to build the facility, the cost of which has been met by the US Visiting Forces (USVF). The building design was finalised in April 2014 and construction was completed at the end of August. Since then we’ve been putting the finishing touches to the new facility by fitting it out with all the necessary equipment. This was a real team effort to deliver a quality product. The facility was completed and passed over to USVF within budget and on time. This enabled USVF to leave its previous medical facility so it could be demolished. The ribbon cutting ceremony to commemorate the opening of the clinic took place on Friday 6 November 2015. It was attended by an array of military and civic dignitaries, including DIO's Air Vice Marshal Elaine West, Director of Programme and Projects Delivery, and Brigadier General Douglas A Cox, Director US Air Forces in Europe-United Kingdom.